We all have a love, envy relationship with the celebrities since we often draw inspiration from their lifestyle and fashion but fail to match their affluence and opulence. When it comes to bedroom decor there are many celebrities who can inspire us with their taste for distinct design and unique decor ideas. But you always don’t need expensive decor and vintage materials to give your bedroom a celebrity flair. There are some furniture web stores that can provide you some affordable furniture with a celebrity flair. You can check Bedsos for some high quality stylish options. Sometimes simple tweaks and quite affordable changes can do a lot to give your bedroom a facelift. We have picked here 10 breathtaking celebrity bed designs worthy of drawing inspiration from. Kelly Wearstler is the designer who has unleashed her creativity to give the Manhattan apartment of actress Cameron Diaz a glamorous look and feel. 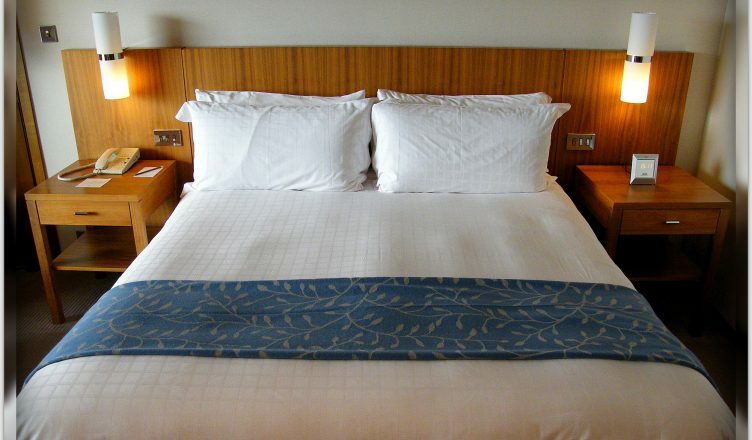 The bedroom is particularly commendable with silk bed linens and Snow White upholstered chairs around. At a glance it reminds us of the typical old time California charm with its laid back atmosphere while looking exceptionally inviting and cozy. 1970 inspired fashion and decor elements are visible throughout though not a single element can be blamed for overdoing. Ralph Lauren is himself one of the legendary designers and naturally his bedroom is expected to reveal some fascinating unique style elements. 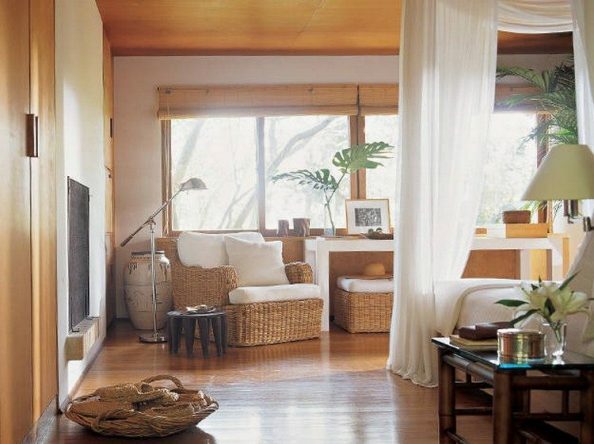 The master bedroom of this famous designer inside his house in Montauk getaway gives the feeling of a tropical escape. It is exuberantly designed with rattan furnishings and lightweight breezy curtains that makes you feel at ease and comfort as in tropical holidays. The custom-designed teak tester bed looks inconspicuous stressing on simplicity. Both the floor lamp and the Scott Madras cotton curtains of the bed are designed by Ralph Lauren Home decor. Monochrome has never completely lost its popularity and charm with bedroom decor because of the simple elegance and clarity it offers with two tone colour scheme. 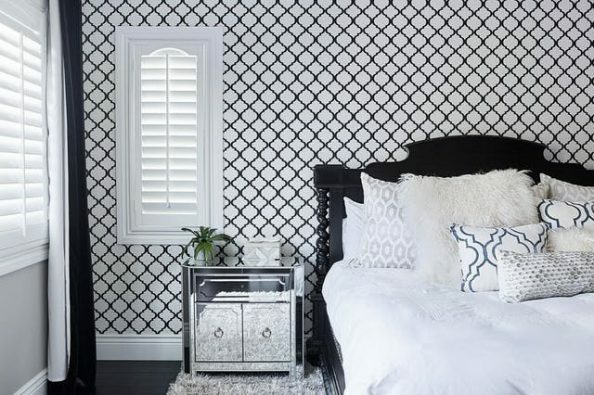 The monochrome bedroom of Christina El Moussa in the Orange County, California is a nice example of how such stark polarity can deliver a sense of soothing comfort we expect from bedroom aesthetics. The decor looks a bit rustic in spite of the inclusion of the pronounced motif through a classic trellis pattern. If you want your bedroom to have a fair share of light and air without losing the sense of opulence the master bedroom at Meg Ryan’s home is a great example to draw your inspiration from. The bedroom with classic linens, simple lighting and a old-world sliding door delivers an easy style and comfortable atmosphere. The bed bears the mark of custom design by Marsha Russell. The Malibu home bedroom of the famous model Cindy Crawford deserves appreciation because of the fusion of sophistication with ethnic touches. Her master bedroom incorporates both traditional decor elements like the tufted chaise, dark woods furniture, and original stone fireplace along with eclectic and ethnic design and decor touches of Moroccan rugs and the oriental embroidery in the bedcover. This fusion of vintage and ethnic taste gives her bedroom a rare opulence. The master bedroom of Hilary Swank’s home offers an elegant fusion of vintage decor with designer furnishings. An entire wall of the master bedroom is covered with silk stuff from MDC Wallcoverings while the bed, bedding, bedside tables and the rugs bears the designer elements of Calvin Klein Home. There is also a vintage ka,p on the side table and an old painting by Spanish master Carlos Vega in the room. 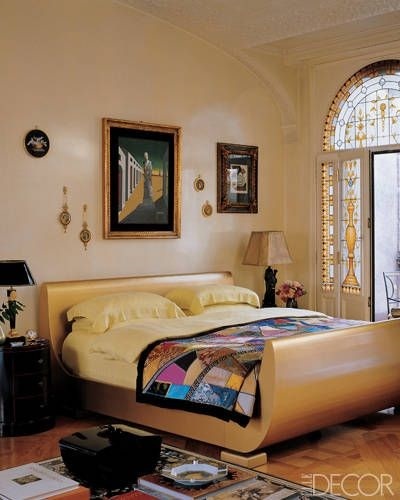 Donatella Versace already well known as a designer for her lavish and exuberant style makes her own bedroom in Milan with eclectic style combining elements both from modern and classic styles. Featuring in the middle a designer, a designer black lacquer side table designed by Versace Home and a Giorgio de Chirico’s painting named Grande Metafisico, the bedroom equally gives a baroque and modern feeling. Roberto Cavalli is a designer who is known for his signature Tuscan opulence in design. His bedroom in a large Tuscan villa showcasing animal prints and artworks from his own collection offers a truly baroque feeling without missing the modern taste completely. The 19th-century gilt-wood mirror that works also as a headboard accentuates this baroqueness of the bedroom interior. The king size bed in the middle is covered with a beautiful scarlet and zebra silk designer duvet cover offers final exotic flair. 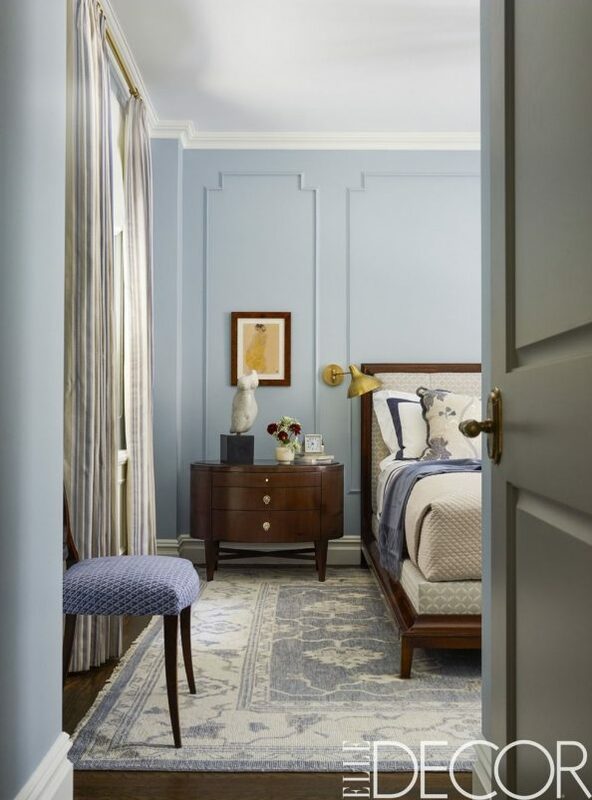 If you are seeking inspiration for your bedroom in a small apartment, there cannot be a better example than the bedroom of the Manhattan apartment of Los Angeles-based actress Emmy Rossum. Being a exuberantly stylish one-bedroom Manhattan apartment offers some exclusive decor ideas for small bedroom spaces. The bed frame is custom designed fitted with custom design comfort mattress. It looks really spacious and extraordinarily luxurious with designer furniture, rugs and light fittings around. Fusing the taste of modern and oriental is very popular with many celebrities, especially with bedroom decor. In the Manhattan bedroom of the fashion designer Josie Natori we find modern decor and architecture meeting oriental antique. An antique textile designed with oriental theme makes a beautiful bed-cover while another textile work takes up a wall. Apart from this, the entire decor including furniture pieces are mostly dominated by clean lines. Will White Critics Give Black Panther Affirmative Action?